The New Year is here and now is the time to renew your chamber membership! Members of the Ellsworth Area Chamber of Commerce play an important role in the future of our area and gain valuable benefits. Regardless of whether your business is large and small, new or long-established, you'll find a chamber membership invaluable. The benefits our members cite as their favorites are unique to them -- While some appreciate the connections they make that allow their business to remain strong and grow, other value the opportunity to support the community and give back to the those that have supported their growth. 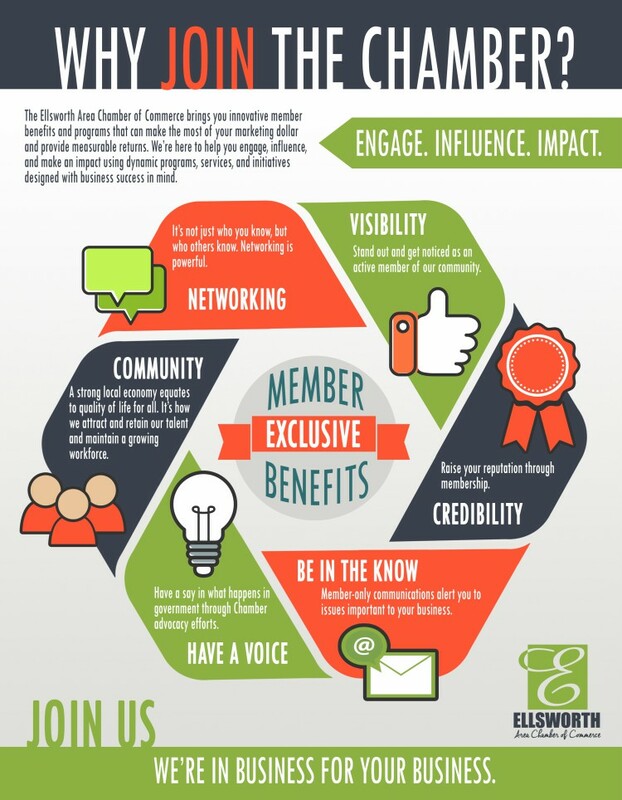 At a glance, here are the top 6 benefits you, our members, have shared as being your top reasons for chamber membership. The bottom-line: We're in business for your business. Thank you for your membership renewal. We look forward to working on your behalf again this year.